The relationship between the Miami Tribe of Oklahoma and Miami University is one of a shared name, land, and commitment to education and learning. This relationship, which spans more than 40 years, exists within a larger historical context. The timeline below highlights some important moments in this history, while acknowledging that the Myaamia people have called the Great Lakes Region home from time immemorial. Several tribes, including the Miami, sign the Treaty of Greenville. This cedes much of what becomes Southwest Ohio to the U.S. government and opens the area to settlement. Ohio becomes the 17th state in the union. Many Myaamia people are forcibly removed from their Indiana homelands to lands that later become Kansas. They were removed a second time to lands in Indian Territory which later became the state of Oklahoma. Miami Tribe Chief Forest Olds visits Miami University unexpectedly, forging the first connection. 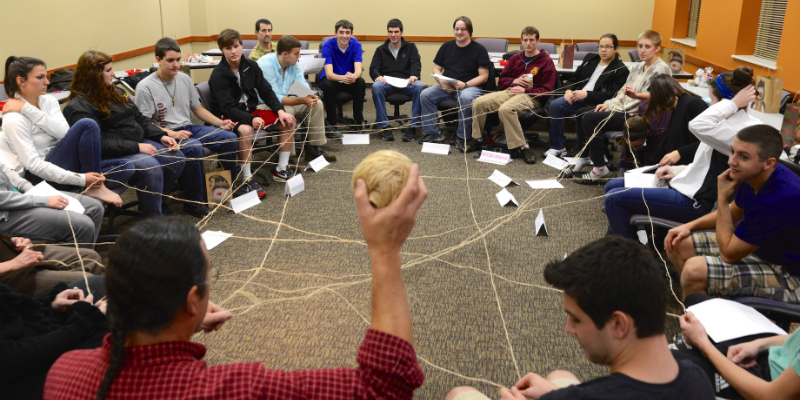 Miami University sends a resolution to the Tribe asking for support to use Redskins as an athletic mascot. 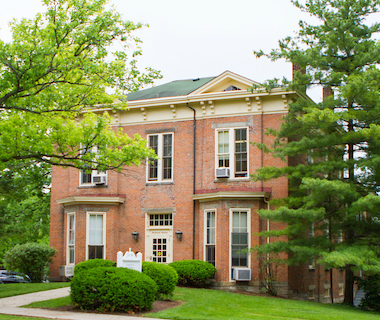 The first Miami Tribe students enroll at Miami University. Out of respect for the Miami Tribe's request, Miami University changes its mascot name from Redskins to RedHawks. Myaamia Heritage classes begin for enrolled Myaamia students. The first Myaamiaki Conference on Miami Tribe Scholarship is held. Chief Floyd Leonard receives an Honorary Doctorate of Humane Letters from Miami University at May commencement. Miami University and the Miami Tribe sign a Memorandum of Understanding to continue to engage in future educational initiatives together. 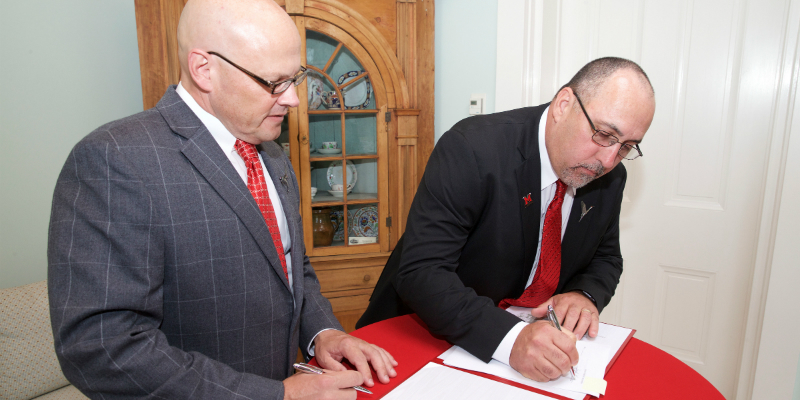 Miami University and the Miami Tribe sign a Memorandum of Agreement, officially recognizing the Myaamia Project and lists details connected to its funding, operations, and intellectual property. The Miami University Art Museum hosts a semester-long exhibit about the Miami Tribe. The Myaamia Project transitioned into the Myaamia Center. Removal of unlicensed Redskins products sold at retail outlets. May 13: Daryl Baldwin, Director of the Myaamia Center, gives the keynote commencement address and receives an Honorary Doctorate of Humane Letters from Miami University at commencement. October 21: Miami University President Gregory Crawford and Miami Tribe Chief Douglas Lankford sign a new Memorandum of Agreement, launching the Miami Heritage Logo and Collection.